Forge World liefern drei/vier neue Truppentypen für Warhammer 40.000. 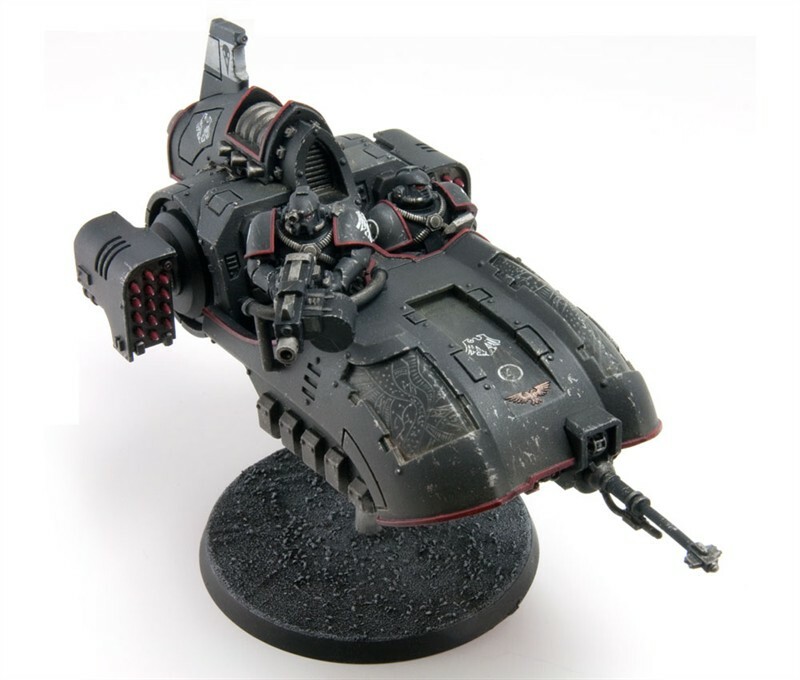 An ancient variant of the more common Whirlwind missile tank, the Scorpius was designed with a single purpose in mind – the destruction of heavily armoured infantry. The Scorpius variant replaces the Whirlwind’s multiple missile launcher system with the intricate drum-fed scorpius launcher, whose implosive warheads are devastating to armoured infantry and light vehicles. 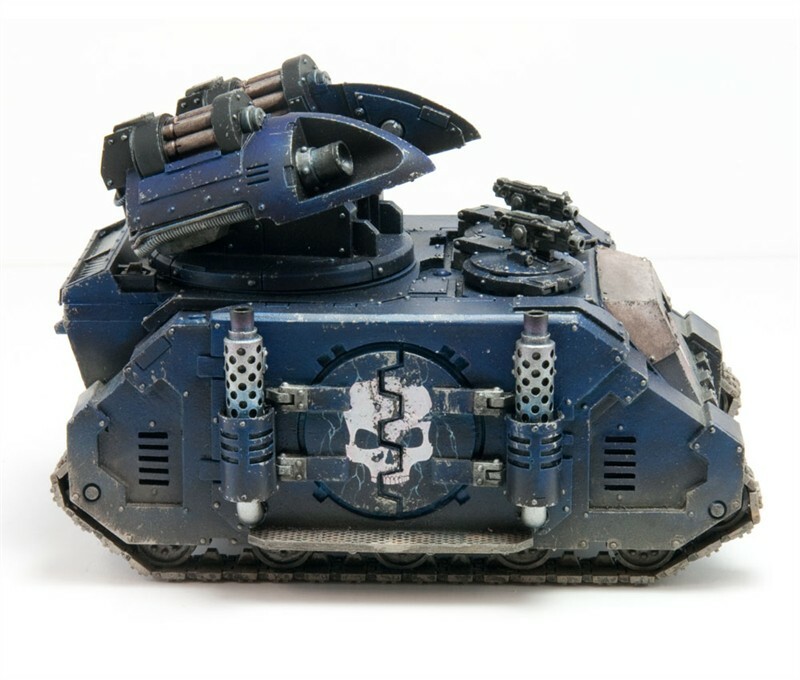 The Whirlwind Scorpius’ origins lie in the dark days of the first inter-Legion civil war and, in more recent times, it has become an all but forgotten relic amongst some Chapters as the ability to manufacture its complex munitions has become a forgotten art, but for other Chapters it still remains a potent weapon of war. Der Whirlwind Scorpius kostet 49,50 Pfund. Larger and more heavily armoured than the common pattern of Land Speeder, the Javelin Attack Speeder is a nigh-irreplaceable relic of a bygone age of technological mastery. Gravitic nullification plates, the secret of whose production and maintenance have long since been lost, allow the Javelin to mount an array of heavy weaponry more akin to a heavy tank destroyer than a nimble Land Speeder, allowing them to make pinpoint strikes on enemy armour or infantry with devastating lascannon or missile barrage. 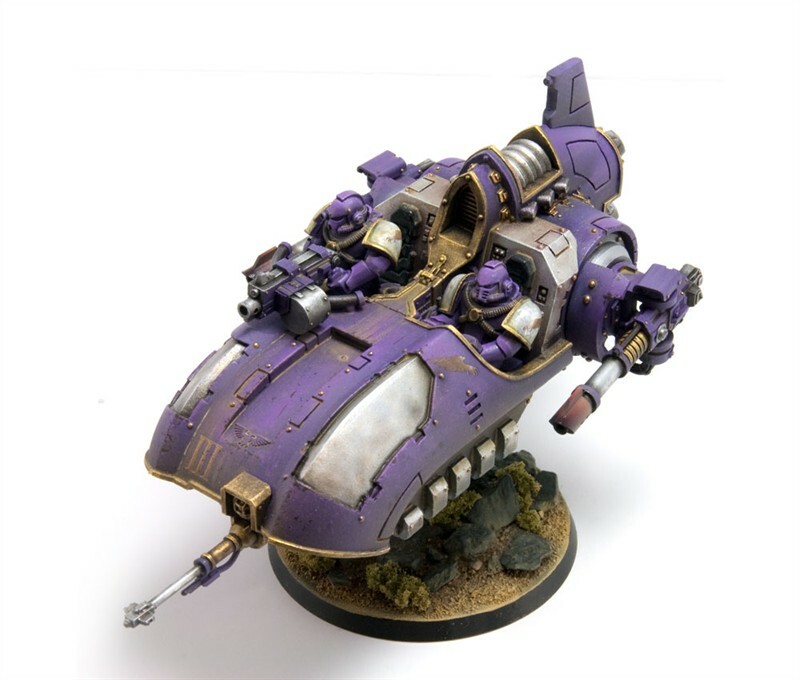 Those Chapters of Space Marines whose histories stretch back into the grim days of the Imperium’s founding may, if they are fortunate, still possess a few justly revered Javelins within the sanctified depths of their armouries. Die beiden Javelin-Varianten kosten jeweils 52,00 Pfund. 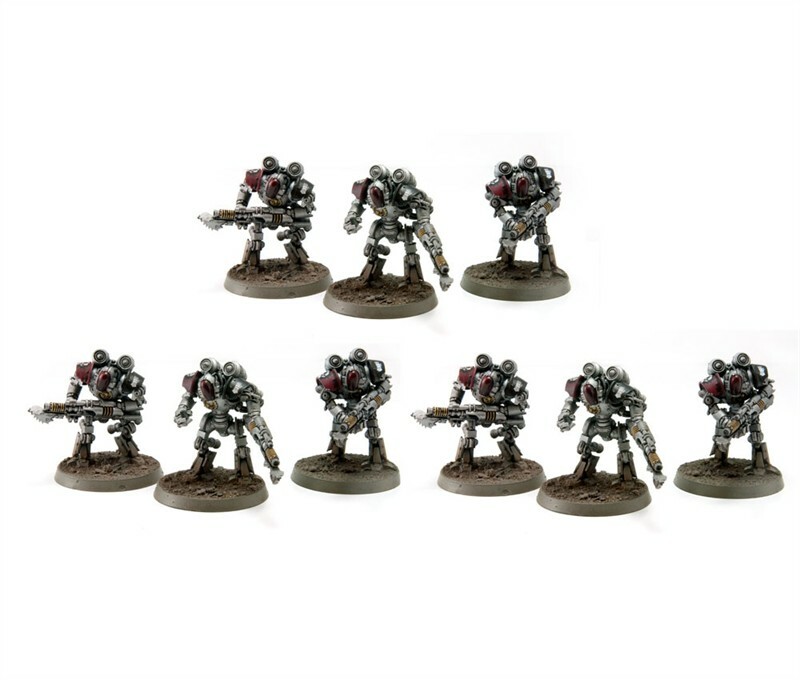 The Thallaxii are heavily augmented cyborg shock-troops used by the Mechanicum Ordo Reductor, and they differ from the Skitarii regiments both in purpose and the unique degree of their augmetics. The Lorica Thallax was developed from power armour technology and requires a robust human specimen. The Lorica encloses the major organs, nervous system and cerebrum, but entirely replaces the skeletal structure and limbs with armoured bionics powered by an internal reactor-core. Surgical excision of the subject’s pain sensors, emotions, and normal human sensory apparatus and the agony caused by the Lorica’s implantation, leaves the Thallax a cold, calculating killing machine (albeit one that retains a degree of independent thought). To some among the Mechanicum, this operation skirts the edge of abomination, yet the baleful Ordo Reductor continue Thallax conversion regardless; using suitable Forge Guard, fallen Skitarii, and other subjects obtained from more mysterious sources. Die Thallaxii kosten 75,00 Pfund. Forge World ist unter anderem bei unserem Partner Fantasy Warehouse erhältlich. Geht mir da genauso wie dir. Ich finde die „nostalgischen“ Forgeworldsachen einfach pottenhäßlich. Der Turm ist doch das einzig Neue daran. Der Rest ist einfach das alte Rino-Design. Früher (Anfang 3. Edition glaube ich) sahen die so aus. Ok, Korrektur, die Schornsteine und ein paar andere Details sehen anders aus, aber die finde ich recht gut gelungen. Regeltechnisch sind beide Fahrzeuge nicht uninteressant und punktemäßig auf den ersten Blick in Ordnung. Pricy, aber ungemein schick. Gerade der Land Speeder ist top. Landspeeder? wohl eher Batmobil (in schwarz und tv Serie Flieder)! Die Formen gefallen mir bei allen Minis nicht. Die Cyborgs sind endlich mal was halbwegs neues. Den Landspeeder finde ich sehr schick, den Panzer aber nicht. Ich mag die cyborgs 🙂 vielleicht doch keine Legion sondern Mechanikustruppen?